The region that was once upon a time a home to our ancestors, Ladakh exhibits a huge gallery of antiquity that has survived from the Neolithic period. Leh, which is one of the prominent cities in the region and secluded by the Trans-Himalaya, Karakoram Range to its north-west, Zanskar Range to its south-west, Aksai Chin highlands to its north-east and Indian Himalaya to its south-east, is today an abode to the indigenous culture of the Indo-Tibetans and it houses several historical monasteries that reflect the footsteps of Buddhism in India. The Leh-Ladakh region, which is further famed for its rugged beauty, glaciers, high-altitude mountain passes, water bodies like pristine blue lakes and untamed rivers and rich variety of flora and fauna, has spread out as one of the prime tourist destinations in India. 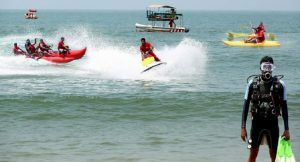 It boosts up the mind of global travellers – Buddhist pilgrims, leisure holidayers and especially adventurers. Travelling to Leh-Ladakh today has been a hall of frame to those who have visited and a gossip for those who are planning for a Leh-Ladakh tour. Over the years, the Leh-Ladakh tourism has bagged several packages that wheels to the popular tourist attractions in Leh-Ladakh region. 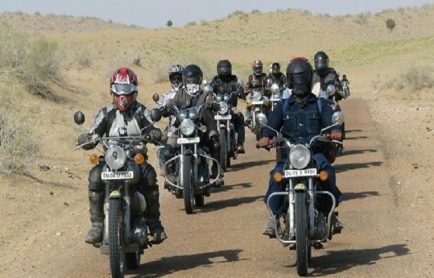 With the increasing number of leisure travellers and adventurers round the year, the Leh-Ladakh holiday packages brings out an elementary track to explore the vicinity of the Ladakh region. If you are planning for a holiday in Leh-Ladakh then here is a comprehensive list of places to visit in the Leh-Ladakh region… those are worth to visit. 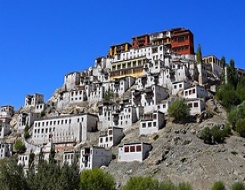 One of the popular tourist attractions in the Leh-Ladakh region, the Hemis Monastery, which belongs to the Drukpa lineage, is one of the ancient monasteries that is believed to have existed before the 11th century. It is approximately 45 kilometers away from Leh and exhibits a rich collection of antiques like the copper statue of Buddha, stupas made of precious metals, sacred Thangkas, murals and various artifacts. 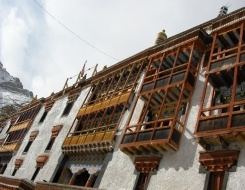 The unique structure of the monastery that reflects the Tibetan style of architecture is also another feature that pulls in a large number of tourists. The monastery is divided into two parts – the assembly hall known as Dukhang and the temple which is called Tshogkhang. 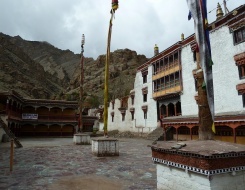 The huge courtyard of the monastery is also worth a visit on your tour to Leh-Ladakh. Further, the Hemis Festival, which is celebrated in the courtyard of the monastery, is another magnetic catch for the tourists. The foundation stone that was laid by the Tibetan translator Rinchen Zangpo in the middle of 12th century, the Alchi Monastery is a fabled construction in the midst of three other ancient monuments that is far famed for its unique style and workmanship. 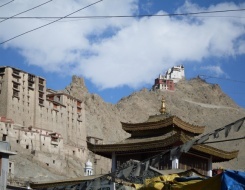 The Alchi Monastery, which was once under the control of the Kadampa order but later taken over by the Gelukpa sect, is approximately 70 kilometers away from Leh and stands to be a major visit on Leh-Ladakh tours. Tourists can easily hark back to the quaint era from the dilating walls of the monastery that displays a diorama of both Buddhism and the Hindu kings. 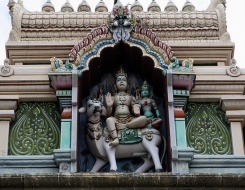 Further, the baroque styled architectural monastery also holds huge statues of Lord Buddha, Chortens and three major shrines – the Dukhang that is the Assembly Hall, Sumtseg and Temple of Manjushri. 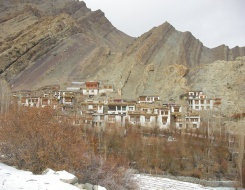 Overlooking the River Indus and close to the Thikse Monastery, the Matho Monastery in the village of Matho is yet another popular tourist attraction in Leh-Ladakh. 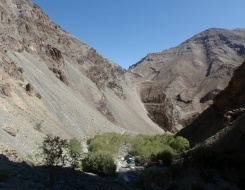 It is approximately 26 kilometers away from Leh and is the only epitome of the Sakyapa sect in the Ladakh region. Much of its workmanship is in ruins but the monastery holds a newly built assembly hall, which is known as du-khand and holds many colorful paintings and a Sakyamuni Buddha statue. It also maintains a small chapel and museum. The ‘festival of the oracles’, which is an annual festival and held during the first month of Tibetan calendar, is a major religious event for the locals that is bound within the monastery walls. The Spituk Monastery that was built in the 11th century is one of the finest examples of the Gelukpa sect and remains one of the major attractions for the tourists in the Leh-Ladakh region. 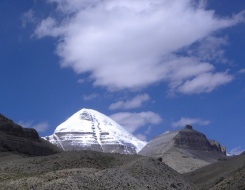 It is approximately 9 kilometers away from Leh and is a home to over 100 monks. The monastery holds an image of Lord Buddha, Mahakaal and of Amitayus, which is about a finger high in length. It also boasts of a rich collection of thangkas, ancient masks, antique arms, etc. The main temple also maintains a high throne, which is reserved for the Dalai Lama, and an old chapel that displays the images of Tsong-kha-pa, his two chief disciples and of the Buddha. 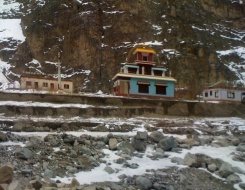 The popular Gustor Festival, which takes place from the 27th to 29th day in the month of February every year, is hosted within the walls of the Spituk Monastery. Another fine example of the Gelukpa sect is the Thikse Monastery that was founded in the mind of 15th century. It is approximately 19 kilometers away from Leh and is renowned for its resemblance to the Potala Palace in Lhasa. The 12 storied monastery is a hub of various forms of Buddhist art stupas, statues, thangkas, wall paintings and swords. The popular Maitreya Temple that maintains a 15 feet high statue of Maitreya is tucked inside the walls of the Thikse Monastery. The red, ochre and white walls secludes an assembly hall, a temple that is dedicated to Goddess Tara and another temple, the Lamokhang Temple that is a repository of numerous volumes of scriptures including Kangyur and Stangyur. Approximately 15 kilometers away from the capital of Ladakh, Leh, the Shey Monastery is one of the newly built monasteries in the Leh-Ladakh region from all the monasteries. It was built in the 17th century by the king of Ladakh, Deldan Namgyal. 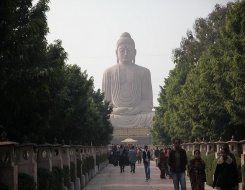 It holds within its walls a giant statue of a seated Shakyamuni Buddha and the walls that displays the images of the Buddha’s two chief disciples, Sariputra and Maudgalyayana and the 16 Arhats. The large statue of Shakyamuni Buddha in a sitting posture inside a small shrine, which is approximately 400 meters away from the Shey Monastery, is a nearby attraction. The Shey Doo Lhoo and Shey Rupla are the two major festivals that are hosted within the walls. 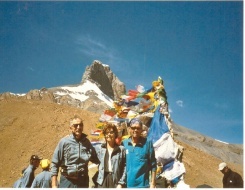 Further, the tourists can also enjoy the stunning view of the Zanskar Range and Indus Valley from the Shey Monastery. Overlooking the River Indus, the Stakna Monastery is approximately 25 kilometers away from Leh and is a fine example of the Drugpa sect. It was built in the 16th century and is a fusion of the religious and cultural heritage of India and Buddhism. The main attraction of the monastery lies in its enchanting marble statue of Avalokitesvara believed to be brought from Assam. There is a museum that exhibits an interesting collection of arms and armory. Further it maintains the head Lama’s private apartment, a Dukhang (main temple and assembly hall) and the rooms of the Lamas and their attendants. The seat of the former rulers of Ladakh, Stok is approximately 14 kilometers away from the modern capital of Ladakh, which is Leh. The Stok Palace is one of the remarkable structures in the Ladakh region that has given the Ladakh Tourism its stately splendor. Built by the king, Tsepal Tondup Namgyal, the Stok Palace is now a residence to the descendants of the Ladakh royal family. A part of the palace, the museum and the library, is open for the tourists. The museum within the palace exhibits artifacts which enlighten visitors about the life of the Ladakh royals, their history, currency and weapons. Perched above the Stok Palace, the Stok Monastery that was built by Lama Lhawang Lotus in the 14th century is another remarkable piece of workmanship of the Gelugpa sect. The walls within the monastery dilates the paintings that displays the images of Vajrapani, Avalokitesvara, Skayamuni (historical Buddha), Tara (the Saviouress), Nangyalma and Amchi (The Medicine Buddha). Further, the Stok Monastery also maintains a library that has 108 volumes of the Buddha’s teachings. The popular Stok Guru Tsechu festival, which is held in its vicinity, attracts global tourists for displaying the cultural colors of the Indo-Tibetans. Inaugurated in the year 1991 and built by Bhikshu Gyomo Nakamura, a Japanese Buddhist and Kushok Bakula, a renowned lama of Ladakh and a statesman, the Shanti Stupa is an epitome of peace in the midst of human intolerance and terrorism. It is approximate 5 kilometers away from Leh and is tucked at a lofty height of 4267 meters keeping parallel to the mystical skyline. The impressive two level structure maintains a Dharamachakra, which is the symbol of Wheel of life- Buddha’s teaching of path to enlightenment; a carved idol of Lord Buddha with murals and varied forms of artwork. Something that may surprise you while travelling in and around the Leh-Ladakh region… in the midst of the Indo-Tibetan monasteries the appearance of a Gurudwara on the Leh-Nimu road is a sheer persistence. 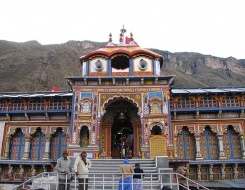 The Gurudwara Pathar Sahib, which is approximately 25 kilometers away from Leh, is dedicated to Guru Nanak Ji and is believed that on his journey back from Sikkim to Srinagar via Nepal, Tibet and Ladakh, Guru Nanak Ji sat here to meditate. The Gurudwara is maintained today by the Indian Army. It is a tradition for vehicles to stop and pay obeisance at the Gurudwara. A museum erected to commemorate the brave soldiers who lost their lives in the Indo-Pak wars, the Hall of Fame is a two storied structure that is approximately 4 kilometers away from Leh on the Spituk-Kargil road. The ground floor consists of information about the Ladakh region and a shop with well-maintained sections, whereas the second floor exhibit artifacts from the Kargil war . It maintains some of the weapons captured during the war and Pakistani documents pertaining to the war. It even has a section that showcases the Siachen glacier. An easy half an hour walk from the city of Leh, the Sankar Monastery, which is a daughter establishment of the Spituk Monastery, is yet another brilliant piece of workmanship that belongs to the Gelukpa sect. It is the residence of the Abbot of Spituk, the Venerable Kushok Bakula, who is the senior incarnate lama of Ladakh due to his ancient lineage and personal authority. The Sankar Monastery houses 20 monks and maintains an impressive figure of Avalokiteśvara with 1,000 arms and 1,000 heads. Located along the banks of the Suru River, Kargil, at an elevation of 2676 meters is a major town in the Leh-Ladakh region and has been the battle ground during the 1999 Indo-Pak war. 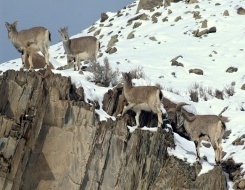 It is approximately 234 kilometers away from Leh and 204 kilometers away from Srinagar. Drass, which is approximately 60 kilometers away from the town, is a nearby destination, which is the second coldest inhabited region in the world. 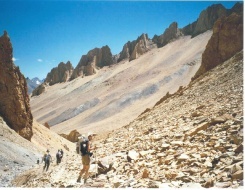 Kargil has been a major stopover for numerous treks in the Ladakh region. 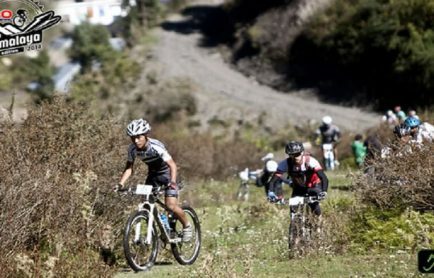 Further, the town also sees several mountain biking expeditions, lying on the route from Leh to Srinagar. 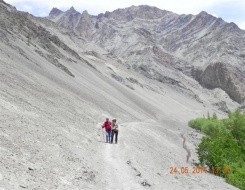 One of the prominent stopovers for a 3-day long trek to the Suru valley, Drass, which is approximately 60 kilometers away from Kargil, is the second coldest inhabited region in the world. The valley with sprawling flower bed over the meadows appears like an ethereal beauty for the trekkers. It stands as the gateway to the Leh-Ladakh region if one is travelling from the valley of Kashmir. The popular attractions in and around Drass are Dras War Memorial, Brigade War Gallery , Dropadi Kund, Sando Top, Mushko Valley and Tiger Hill. The Dras War Memorial, which is also known as the Kargil War Memorial, is built to commemorate the brave soldiers who lost their lives in the Indo-Pak wars. It is located at the base of the stunning Tololing Ranges. Approximately 30 minutes trek from the Leh city, the Zorawar Fort is a historical monument that was built in the 19th century by General Zorawar Singh who is remembered for his continued struggle with the Chinese rulers over Ladakh. The fort that holds a massive work of marcullak, which is a type of local clay, Sun dried bricks, stone, wood etc. 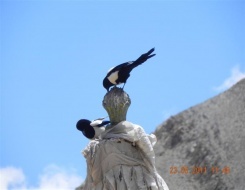 is one of the major attractions for the tourists in the Leh-Ladakh region. Covering an area of around 27.17 acres of land, the Zorawar Fort maintains a natural spring along with one temple and one mosque. A rich valley with plantations of willow and poplar trees and agricultural crops like wheat, millet and barley… blessed by the River Suru, one of the major tributaries of the River Indus, the Suru Valley is a gem of nature. It is a spectacle of stunning features – splendid mountain walls crowned by towering peaks, rugged alpine slopes draining into untamed mountain streams, glaciers descending along the mountain slopes to the river bed and quaint villages that houses the Dard and Tibetan descent. 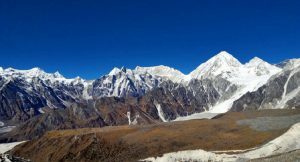 The beauty of this valley is further heightened by the swerve contrast of the snow capped peaks of Kun at 7035 meters and Nun at 7135 meters. Two other major attractions in the Suru Valley is the Rangdum Monastery and Pensi La, which is the gateway to the Zanskar Valley. 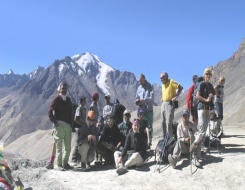 The Suru Valley is easily accessible from Sankoo, Panikhar and Parachik, which are all connected with Kargil. 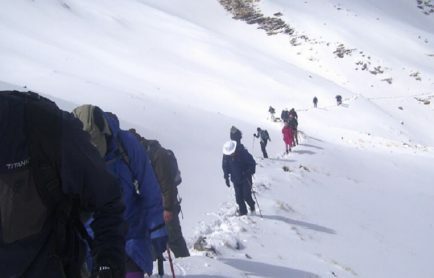 One just cannot forget his arduous days at the Chadar Trek, which is also known as the Frozen River Trek on the frozen River Zanskar. 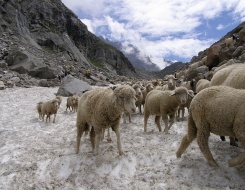 The Zanskar Valley is more like a pilgrimage to adventurers. 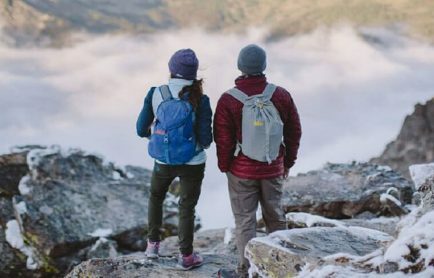 Opening the door for the adventure tourism in the Ladakh region, the Zanskar Valley is popular for activities like river rafting, rock climbing, mountaineering, camping and trekking. 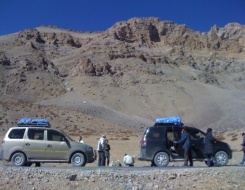 The Zanskar valley is also the place where the Himalayan car rallies are held every year. 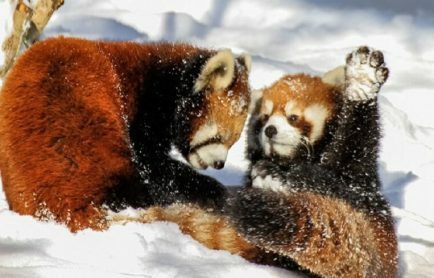 Apart from these activities… the valley is also a home to Snow Leopards, Himalayan Bears, Red Fox, Marmots and other endangered species. 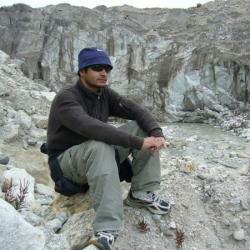 There are several interesting places in Zanskar that one can visit while travelling to the Leh-Ladakh region. 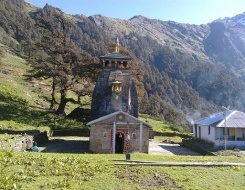 Undertaking a trek via Padum-Kishtwar, the Zongkhul Monastery is an architectural delight. Tucked atop in the mountains, Zangla, which is an old castle, is yet another attraction in the Zanskar Valley. The Stongdey Monastery and Karsha Monastery, which are the fine examples of the Gelukpa sect, and places like Panikhar and Penzella Pass, are worth a visit on your Leh-Ladakh tour. Tucked at a height of 3510 meters, the Lamayuru Monastery in Kargil district is yet another ancient monastery in the Leh-Ladakh region that was founded by Naropa, an Indian scholar, in the 11th century. The Lamayuru Monastery is popular for its rich collection of wall paintings, collection of thangkas, murals, scriptures and statues of different forms of Buddha and other deities. The monastery also maintains an assembly hall, Gonkhang, which is a temple and residential buildings that houses approximately 150 monks. Currently there are remains of four buildings out of five. One of the nearby attractions is the Wanla Monastery. Further, the annual festival known as Yuru Kabgyat is a major attraction of the monastery. Mask dance by the lamas are the highlight of the festival. One of the notable mountain passes that is on the route to Pangong Lake from Leh, Chang La is said to be the third highest motorable road in the world. Chang La, at an elevation of 5,360 meters, stands as a gateway for the Changthang Plateau situated in the Himalayas. 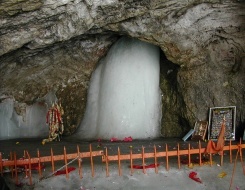 It also acts as one of the check posts on the route that is manned by Sikh soldiers from Punjab. One of the high altitude national parks in India, the Hemis National Park is the largest national park in India that covers an area of approximately 4400 square kilometers and stretches from an elevation of 3500 meters to 6000 meters. It is a home to several endangered Himalayan wildlife including snow leopards, Red Fox and Himalayan Black Bears. It also houses several species of migratory birds and predacious birds like eagles and vultures. 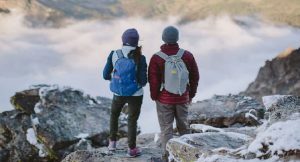 The popular winter trek in the Ladakh region, the Snow Leopard Trek, trails you down into the wilderness of this Trans-Himalayan national park. The Tso Moriri Lake that is situated at an elevation of 4,595 meters is one of the high altitude lakes in India and largest in the Trans-Himalayan region, which is accessible from Leh via Upshi. Tso Moriri is yet another brackish and blue water lake, which is a home to several migratory birds and species of Himalayan animals. This tranquil lake is secluded by peaks towering over a height of 6000 meters… completely shutting the lake from the outside world. One can visit the nearby Korzok village for an overnight stay. The pristine blue water of the Pangong Tso, which is situated at a height of about 4,350 meters, is one of the popular tourist attractions in the Leh-Ladakh region. 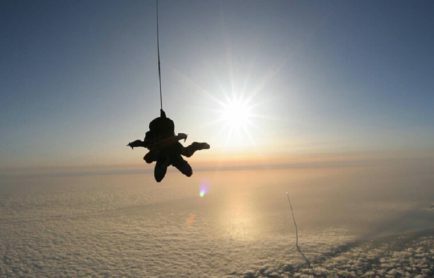 It covers an area of approximately 604 square kilometers but only 40% of it is a part of India. 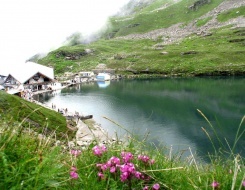 The endorheic Lake that is surrounded by the undulated plateau is a home to numerous ducks and gull and number of species of wildlife including the kiang and the Marmot. 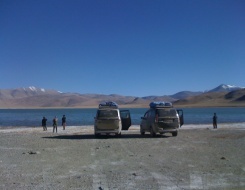 Further, the tranquil ambiance of the Pangong Tso is a lovely place for overnight camping. 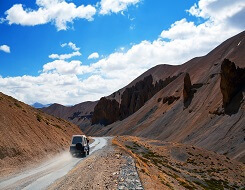 One of the highest motorable roads in the world, Khardung La, which is at an elevation of approximately 5600 meters, is the gateway to the Nubra Valley. 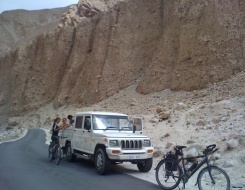 Khardung La that is on the route to Srinagar from Leh on the Srinagar-Leh Highway is also popular for hosting mountain biking and motor biking expeditions. 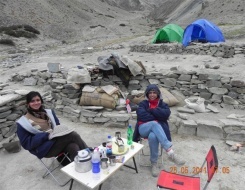 Further, one can also enjoy the spectacular view of the surrounding peaks and the far-fetched valley of Nubra. 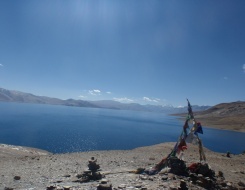 One of the brackish lakes in the Indian Himalayan region, Tso Kar at an elevation of 4620 meters is the eighth highest lake in India and the highest lake in the Ladakh region. Tso Kar is a home to several migratory birds as well as its vicinity is also dominated by various species of wild animals. 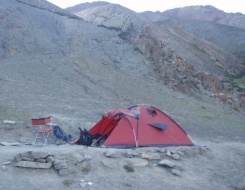 It is approximately 130 kilometers from Sarchu and a great place to camp overnight.